February 25th, 1pm-4pm. Jonesboro Chamber of Commerce. March 5th, 12pm-4pm. Fordyce Bank & Trust. March 13th, 9am-1pm. Little Rock. March 15th, 12:90pm-14:30pm. Fayetteville Public Library. August 14th, 9am-1pm. Little Rock. November 13th, 9am-1pm. Little Rock. Upon successful submission of your registration, you will be sent a simple confirmation email. Approximately one week before the scheduled seminar date, you will be sent detailed information concerning the location and specifics about the particular seminar. This information will not be released prior to one week before the class date. Seating is limited for the August 30th seminar. Once the August 30th seminar is full, a waitlist will be started. You will be notified of your status upon registration. As previously stated, these are the last two seminars that can be scheduled. Secretary of State Mark Martin's term will end in December. 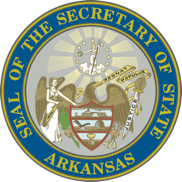 Therefore, it will be up to the new Secretary of State's administration to schedule any future seminars.